With a wide variety of low-priced used inventory to choose from, Volvo Cars of Dayton is the place to go for quality used cars from all your favorite brands. At our used car dealership in Dayton, Ohio, you'll discover amazing used BMW cars and SUVs, INFINITI sedans, Land Rover SUVs, Mercedes-Benz models, Nissan and Toyota trucks, Volkswagen hatchbacks, Jeep SUVs, and loads of other great used vehicles from brands you know and trust. Located across from Boot Country and Verizon on Poe Avenue, stop by and test drive from our top-shelf selection of used cars, trucks, SUVs, and more today. Find a used car at your local Dayton, OH dealership. 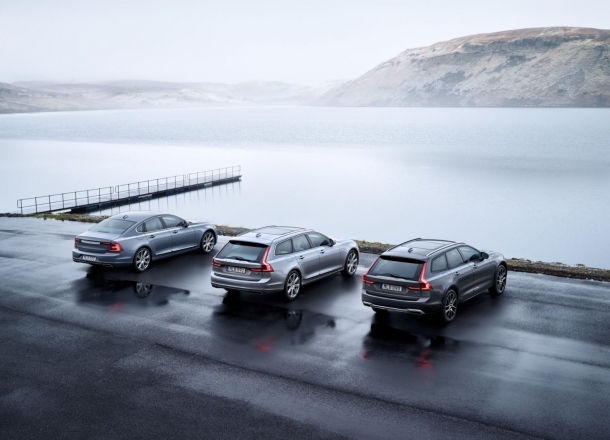 At Volvo Cars of Dayton, we take pride in giving you the best customer service, communication, and selection around. Thanks to our team of knowledgeable and friendly professionals, you'll feel right at home at our used car dealership in Dayton, OH. Whether exploring your options on the sales floor, or working one-on-one with someone in our finance department, you'll discover nothing but dedicated individuals who want to help you reach your goals. Our Dayton, OH used car dealership has you covered. To learn more, give us a call now. Thinking about valuing your trade and cutting even more off the price of one of our incredible used cars? Thanks to the auto financing specialists in our finance department, you can get top trade-in value on your current vehicle and experience the extra savings you deserve. Want to get started with one of the low-rate auto loans or customized automotive financing programs available at our used car dealership in Dayton, OH? Fill out our online auto financing application and get the ball rolling today.